Thanksgiving and Christmas can be very happy times of year for some, characterised by feelings of gratitude and generosity. These are the times when we realise how fortunate we are, and share what we can with those who are less fortunate. 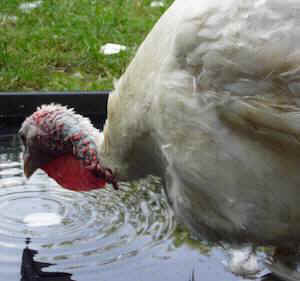 The least fortunate individuals on this planet are members of the species we use for food. As I write I can hear the violent thud of guns against which the fragile bodies of beings like pheasants are defenceless. Every day of the year is tragic for the non-human animals who are exploited by us. Thanksgiving and Christmas are especially tragic for pigs and birds who are traditionally and unnecessarily bred for the purpose of human ‘celebration’ and who will now be brutally killed, their lives unnecessarily shortened, their past utterly devalued. The aftermath of Christmas in Ireland is frequently characterised by regret at indulgence in too much food and alcohol, and anxiety about pre-Christmas over-spending on unnecessary goods. For many households, the recession has not changed these ways of ‘celebrating’ to any significant degree. Most people are reluctant to examine the lives that are impacted by purchase of goods that are predicated on the slavery of others. 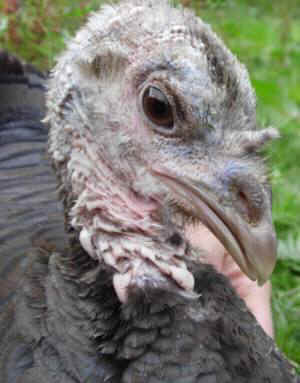 It is not unusual for people who have partaken in the tortuous breeding and killing of sentient animals such as turkeys to express regret at the dead body parts that ended up in the bin because ‘turkey is so dry’. It is also common for people to express disgust at the vast amount of meat on the dead body of a turkey who was bred to be unnaturally obese, at a cost of great suffering to him or her during their short life.